Battery packs are very essential whether it be for your smartphone, tablet, laptop or even charging batteries. LIFEPOWR has just launched a new Indiegogo campaign, the A3. It's compact & lightweight, but it packs the newest of technologies: 100W USB Power Delivery. It easily and quickly powers up all your daily gear with the same USB-C cable. Multiple times. In addition, it also features a standard AC outlet (! ), two USB ports and QuickCharge technology. 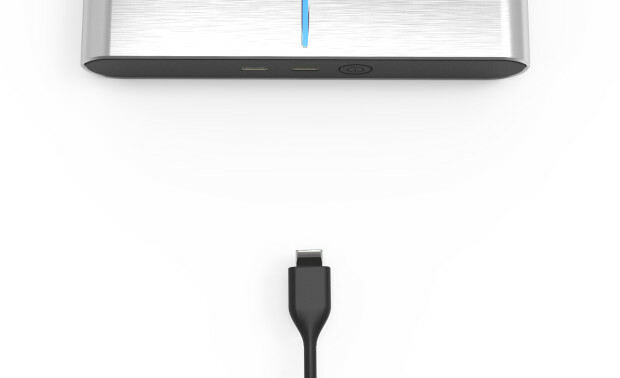 The main focus is the included USB-C ports. USB-C being a new connector and soon to be the new standard port (bi-directional, provides power and data), this will be compatible with future devices. Since it has a standard AC outlet, you can charge your laptop, small refridgerator, camping gear, electronics such as a fan, TV, speakers or light or even charge your camera battery. To recharge the LIFEPOWR A3, you can use a standard wall outlet to charge the battery pack or connect a solar panel if you're not near an outlet. It will be available in a both US Outlet Model (120VAC 60Hz) and EU Outlet Model (230VAC 50Hz). The basic A3 will start at $159. Solar panels are $39/$99 depending on model. A3 and top of the line solar panel is $239. There are other additional bundles as well such as if you want an additional solar panel for faster charging or for other use. As of this post, it has met its funding goal and will start to ship sometime November 2017. Continue reading for full press release or visit their Indiegogo page. ANTWERP, BELGIUM: Belgian energy company LIFEPOWR has just launched the LIFEPOWR A3 on crowdfund platform IndieGoGo. It’s the world’s first powerbank to fully integrate the new USB-C Power Delivery technology up to 100W. Up until now, other powerbank manufacturers have only managed to integrate USB-C up to 30W. USB-C is the new standard connector, making other chargers and cables obsolete. Besides the new technology, the A3 also features a standard 120W AC outlet (!) and Quick Charge 3.0 technology. The LIFEPOWR A3 is quickly gaining funds on IndieGoGo. After the first 24 hours of campaigning the A3 was already funded for 30%. LIFEPOWR needs to raise at least 35k to be able to go into production.